"If you are looking to run a personal or seasonal best time, this is the race for you!" This is the race you don't want to miss! 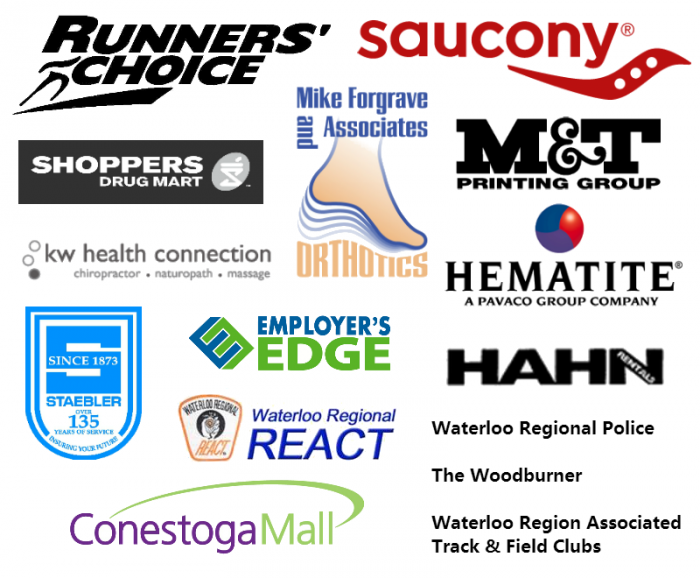 Waterloo Region's fastest 5k and 10k courses! Through individual pledges and participation, and through the support of many generous corporate sponsors, The Oktoberfest Run has become a successful annual fundraising event. It is our objective to organize a fun, safe and healthy athletic event for the citizens of Waterloo Region and beyond, while maintaining a community responsibility to local charitable organizations and their causes. With your entry, you will help us reach our objective. FREE Long Sleeve T-Shirt to the first 1,000 Entrants. NEW FAST COURSES! "If you are looking to run a personal or seasonal best time, this is the race for you!" ENJOY Family, Fitness, Friendship and Fun. FABULOUS Post-Race Refreshments with Live Entertainment. FOR RUNNERS, JOGGERS, WALKERS & FAMILIES OF ALL AGES & ABILITIES! This is the second leg of the 2015 Battle of Waterloo III. For more information, click here. All entries are non-refundable, non-transferable, and non-deferrable. Mail in: To 2 Weberlyn Crescent, Conestogo N0B 1N0 by Tuesday October 13 at 5:00 p.m.
Drop off: At Runners’ Choice, 55 Erb St E, Waterloo by Tuesday October 13 at 5:00 p.m.
Online: Right here at www.RaceRoster.com by Wednesday October 14 at 6:00 p.m.
After these dates, entries will only be accepted at Kit & Chip Pickup. All entry fees increase by $5 after pre-registration. 5KM - 9:30 a.m. Race starts at Westvale Public School and finishes in Waterloo Park. 10KM - 9:45 a.m. Race starts at Westvale Public School and finishes in Waterloo Park. Directions to Waterloo Park: From Hwy #401, take Hwy #8 West to Hwy #85 Waterloo to University Ave. W. to Westmount Road North. Left on Westmount Road North to entrance to Waterloo Park. We recommend that participants park at Sun Life Financial, 50 Westmount Road North, take the shuttle bus to the start at Westvale Public School and then run back to the finish. Shuttle buses begin at 7:30 a.m. The last shuttle bus leaves at 8:50 a.m. Runner’s gear will be transported from the start line to the finish line at Waterloo Park and stored in a supervised area. Gear must be picked up by 11:30 a.m. We are not responsible for lost, damaged or stolen articles. Directions to Sun Life Financial, 50 Westmount Road North (shuttle bus location): From Hwy #401, take Hwy #8 West to Hwy #85 Waterloo to University Ave. W. to Westmount Road North. Left on Westmount Road North. There are no shuttle buses after the race to take participants back to the start. There is no parking at the race start. Drop offs are permitted. NEW COURSE MAPS WILL BE POSTED SOON!! Each KM is marked and is clearly visible. Times will be called at the 5 KM mark of the 10 KM. Water Stations: 1 on the 5 KM course / 3 on the 10 KM course. Courses are certified distances. Courses are subject to change pending official approval, course certifications, or construction issues. Only the first 1,000 entries will receive a FREE 2015 limited edition long-sleeve t-shirt. Register today – don’t be disappointed! NOTE: A limited quantity of extra t-shirts will be available for sale. Makes a great gift or souvenir! $100 in prize money will be awarded to the top Open team in any timed event in which there are at least 5 eligible teams in the official results. Unclaimed medals will be available for pickup at Runners' Choice any time after Monday October 26, 2015. Following your run, enjoy barbecued hot dogs and sausages, fresh fruit, and bagels – all free with your entry! Live musical entertainment, massage and draw prizes will also precede the awards ceremony. Don't miss the 200m Kids Fun Run! The cutest Oktoberfest Run ever! 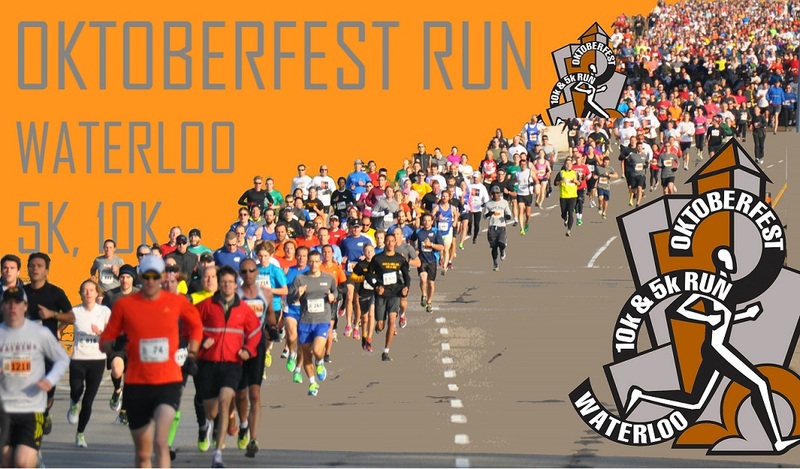 Grand Prize: For the individual collecting the most pledges by race day – beautiful T-Shirt Quilt and a free entry to The 2016 Oktoberfest Run. Prizes for the next top 4 Individuals: $100 Conestoga Mall Gift Card, Saucony Jazz Running Shoes and a free entry to The 2016 Oktoberfest Run. Entry Fee is $30 per person, and each team must raise a minimum $1500 in pledges. Entry Fee is $25 per person, and each team must raise a minimum $500 in pledges. Each Team must complete a Team Registration Form. Please call (226) 750-0017 for form or more information. The sponsors recognized on this entry form have generously contributed financial support, products and/or services to The Oktoberfest Run and we encourage your ongoing support of these generous companies and organizations. Check out our website at www.RunWaterloo.com for thousands of race photos - all free to download.